Modern recruiters have it quite easy. 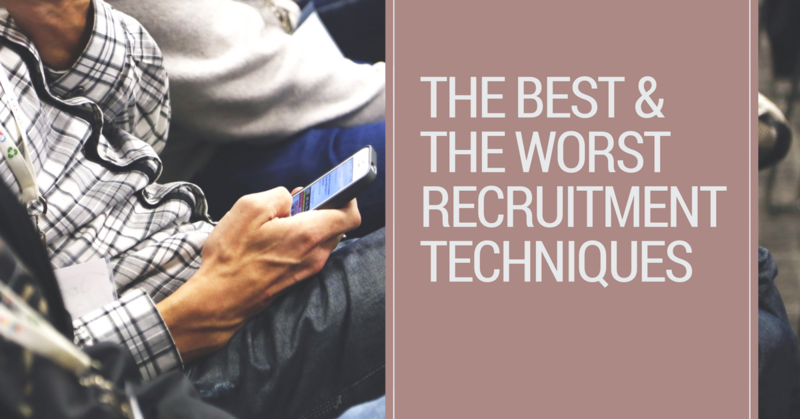 With modern recruiting tools, such as social media, and big data applications, recruiting has advanced considerably in the last decade. Even with all of this technology and resources at our fingertips we can be complacent and just go through the motions; there’s a danger of becoming lazy when it comes to matching candidates to the right job. We find it’s important to take the time to get to know our candidates beyond their CV. This way we get to know the whole person not just what we see on paper. Some companies have an issue with the credibility of online institutions and the degrees they issue. However, the rise of online course has led to some professionally viable courses. Today education is available online and it would be a pity to ignore this aspect. Sometimes, recruiters will first look at a candidate’s work experience and then make their decisions. However, we feel that taking a more open-minded approach is better in order to think about what he or she is able to contribute to an organisation. There could be many reasons for someone under-performing in a job, it is not right to select or reject a candidate based only on his previous job. It is up to us to spend the time to find out whether work environment, personal issues, problems with coworkers, or simply an underpaid job could be the reasons why a candidate could not give his best shot at his previous job role. This might sound like an inherently obvious fact but is now essentially a recruiting myth. We see few new employees actually end up failing in their work environments due to several reasons other than their job-related skills. The right candidate for the role is one with the proper attitude, temperament, intelligence, motivation, and ability to network. These are all important factors that can decide whether a candidate is suitable for the job or not. We see candidates who have the ability to learn on the job or the opportunities to sharpen their skills through in house training. Even if a person does not have skills or even experience, if he learns well, he could become a valuable asset to the company very soon. However, we find that attitudes can be harder to break and may take a lifetime to develop. Technical skills can be learned on the job, in training sessions, or one can even pick them up as they go, but attitude development could take a lifetime. We adopt a broader way of thinking when it comes to placing our candidates. We appreciate that employees are at the heart of an organisation and the hiring process is a big investment for both the client and the candidate; it involves time, money, and effort and of course is surrounded by emotion. By adopting the above ethos and spirit of the practices above we make sure that valuable resources do not go to waste, the hiring process must be modern and with the times and reflect what is going on in the marketplace. For an informal chat about any of the issues raised in this blog please feel free to contact us.